The cycle of life continues: welcome to the 2018/19 ski-season preview! As we roll into our sixth season, we’d like to start by thanking you, our loyal customers, for all your feedback and support. Please let us know if you ever notice us providing an imperfect service, as our goal is most definitely the opposite. The coming winter has lots to offer in terms of equipment, and we hope in terms of snowpack as well. We’ve previously written that we are getting spoiled with options. But seriously, this is getting ridiculous. We can no longer fit our entire binding selection onto one page of the website. More now than ever it’s advised to visit our Binding Finder to find an appropriate binding. They have different retention/release characteristics and you should be properly matched for safety. Brakes can limit choice and interfere with release in some cases, so be sure to include in your inquiry what is most important to you. On to the trends. Big Names, Little Bindings. A couple brands you may have heard-of have jumped into the light-binding category. Black Diamond contracted with ATK to offer a solid lineup of pincers with eye-appeal. In order to appease skimo fans and their longtime binding-partner Fritschi, they focused on the lightest offerings. Smaller skiers especially will appreciate the fixed-release race bindings with softer springs as the Helio 145 & 180 ship with a 6 RV option. Not to be outdone, alpine-binding king Marker has jumped on the bandwagon with the release of the Alpinist series. These are nearly full-featured models with adjustable lateral release, selectable forward release, BSL adjustment, and optional brakes. They are now the lightest “gapless” bindings, which don’t use a heel gap to keep the release more consistent while the ski is flexing. With the Alpinist, we expect much better release-test results compared to Marker’s hybrid binding (the Kingpin), which we chose not to sell due to our concern for your safety (yes, we are the rare shop that values your well-being over sales). 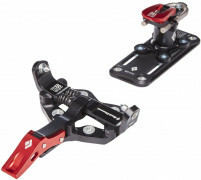 Freeride Binding, Singular. Unlike the aforementioned Kingpin, we have no reservations when recommending the new Atomic/Salomon Shift binding for aspiring World Tour athletes. This long-awaited design instantly makes others in the category obsolete. As a fully DIN-certified alpine binding, you don’t have to worry about a thing when hucking your meat. The up-problem was solved by hidden pins in the toe piece that enable you to have tech-efficiency when skinning. Tuck them away and enjoy alpine release and retention on the down. The Shift is also recommended for skiers with previous lower-leg fractures that now value release-safety over weight. The Shift binding is the singular option for some. Lightweight Skis for Women. If you’re on the shorter side and love powder, you’ve probably noticed a dearth of lightweight skis designed for you. Well, good news! The backcountry ski market is finally getting big enough to make it economical to build such obviously useful planks. Voile included both a Women’s Vector and a Women’s Charger in the amazing new Hyper series. The weights and widths are game changers. Similarly, Elan has your back from Slovenia. Although not specifically marketing to women, the shorter lengths of the Ibex XLT series might actually be the best women’s touring skis available. The buttery flex and reliable edging are sure to make you smile. Race skis that ski. Aside from extra-niche skis designed for vertical and sprint races, the weight wars are over when it comes to skimo race skis. Most manufacturers can now make a decent ski that is near the ISMF minimum weight. The competition is now focused on improving skiability. Sure, the skis are smaller than ideal for most skiers. But, with some adaptation in ski-style, you can really rip on the little sticks in less-than-heinous snow. 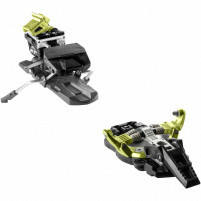 Dynafit introduced a new DNA 3.0 ski that slices and dices. Atomic redesigned the Backland UL to focus on superb handling. In terms of ski performance, these new models are nearing the legendary Trab Gara Aero and in the ballpark of the Aski Stealth, which still wears the crown as the best-skiing race ski (albeit with a smidge more mass). Walking Beef. 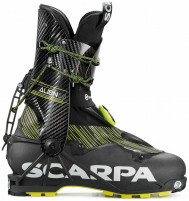 Alpine and freeride manufacturers have finally realized that weight is not the only criteria used in selecting a backcountry ski boot. No longer do aggressive skiers have to suffer with limited forward range of motion. 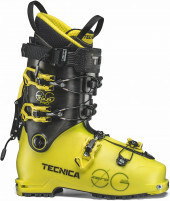 Tecnica’s Zero G boot has impressive forward range. 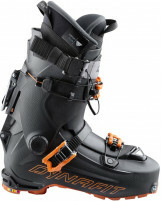 Likewise, with the arguably-revolutionary Hoji-lock mechanism, Dynafit really freed up your stride. Once they solve the backward-range problem, watch out! Folks who’ve adapted a stride for race or near-race boots won’t compromise on the lack of rearward motion, but some skinners will see a big boost. We love progress in this space and support the companies moving in the right direction. Race boots that fit. Long have folks with wider feet and higher insteps suffered when it comes to race boots. Shells to date have typically been molded for smaller European feet. The Dynafit PDG 2.0 offers some relief with a roomy shell that can be further prodded and stretched. It even offers a nice carbon cuff at a reasonable price. Similarly, Movement put together an affordable carbon-cuffed racer that offers more fit options for your missioning comfort. Atomic also re-upped on the Backland which features a heat-moldable shell. If all other boots fail, take a leap of faith and mold a pair to fit your unique hooves. Juniors! It’s no secret that our lightest and most vulnerable friends have been suffering with limited-to-none choices for lightweight backcountry travel. This is finally starting to change in earnest. The Dynafit Rotation 7 offers a great option for skiers who need a release value as low as 2.5, previously unchartered territory for tech bindings. This safety hurdle was cleared by way of the now-proven rotational toe system that Dynafit introduced a couple season ago for older folk. In conjunction, Dynafit built an easy-going and affordable junior ski, the SL 80, complete with a tip-notch skin system. This is absolutely the way to get your kids started off on the right foot at a young age. 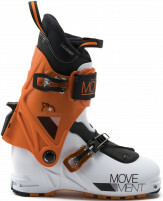 A good match for these bindings and skis is the affordable Movement Explorer Junior boots. A dream package for the up-and-comers! K2 makes a comeback. In fairness, they never really went away. In fact, they are one of the largest ski brands in the world. But K2 hasn’t often come to mind when contemplating lightweight backcountry skiing. That has changed with the introduction of the redesigned Wayback series. Nestled within a hit-or-miss lineup, the Wayback 88 scores a big hit. The 174 length especially is a top contender for a one-ski-quiver. It floats, it carves, it jukes, it jives. It’s hard to say that five times fast. It’s also hard to beat the price if you’re looking for a do-it-all entry point into backcountry skiing. Protecting your noggin. Since the ISMF declared all helmets used for racing must be certified for skiing, vendors have been scrambling to provide superior protection without melting your brain with excess heat. Racing stalwarts CAMP and Ski Trab were first to the punch with the Speed Comp and Race helmets, respectively. 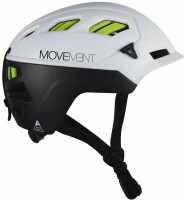 This season we can add Movement to the list with a well-ventilated, good-looking, triple-certified brain-bucket. Petzl is rumored to be trying to change the rules with a ski-mountaineering specific certification. As always, we are thrilled to see progression in the light-n-safe department. Service and more service. We have yet to hear a complaint that we offer too many services, so we’ll just keep adding them. This year we are excited to offer a couple more to our extensive repertoire. First, we now have the equipment and training to handle cannister refills for ARVA and Mammut airbags. Second, we are working with DPS on their exciting Phantom program. If you’re local and want to bring in some skis, or you’re ordering skis remotely, we’re happy to apply the Phantom base glide treatment using our fancy new curing station. In our testing, the glide didn’t speed past quality waxes from Start, for example, but you will easily make it through spring without getting stuck. Never wax again! Building the wall. Much to the chagrin of the alley-dwellers who try and tunnel into our specialized society, we built a new wall in our store. No longer is our retail footprint confused about whether we are a full-service shop or an online warehouse. With our stock of every touring boot size and shape imaginable now hidden behind said wall, our retail space is 100% dedicated to showing off gadgetry you didn’t even know existed. When you’re in Utah, make sure to visit the mecca of ski mountaineering! We hope you have a great winter. See you in store and on the peaks! Hi David, if you're referring to the Shift binding, it's certified to both the ISO 9462 alpine standard and the ISO 13992 alpine touring standard. Thank you for this well written season preview. I love it! A useful feature that could be added in this type of article could be hyperlinks within the text when the items are first mentionned. A simple quick click to find out more information if needed instead of going through google. Thanks for the feedback, Sébastien! Yes that can be a nice feature, but it can also make an article hard to read if half of it is hyperlinked. We try to balance readability and then put mentioned products in the "Related Products" section. Also, the search box at the top of each page will take you right there. Let us know if you need help finding anything! Nice easy to read overview. I enjoy the candid comments about what works and what is not so good. Great early season opener. Thanks for the feedback, Bruce! Good preview, thanks for the guidance. What is the backward-range problem with the Dynafit Hoji system? Hi Kris, that is referring to the amount of rearward cuff rotation in walk mode. The cuff doesn't go back as easily or as far as some other boots, especially when you start comparing to race boots.